Today's business environment demands that you fully control your operations - the facilities, the material flow, the way people work, the information - you must cover all the angles. Typically, you're expected to do this with fewer resources than ever. Material handling unifies everything, and allows you to have better control over nearly every factor. 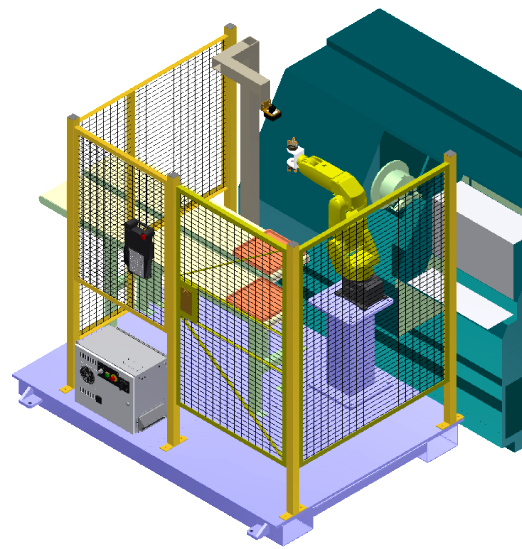 World-class material handling system and automation requires a high level of knowledge and experience. These systems must be scalable; they have to take your future into as much account as your present. We deal with these issues constantly, with an installed base of hundreds of productive systems in nearly every industry. We're experts at integrating conveyor systems, controls, robotics, software, automated storage, carousels and other systems into a cohesive and functional system that can transform your business. Ideal material handing systems increase efficiency, safety, and profitability for manufacturing and distribution operations. Whether you are dealing with a complex, working system that must be revamped on the fly, or a new facility with dozens of contractors and scores of problems, you need the kind of reliable service Cisco-Eagle can bring to the table. You need a partner who can handle the detailed process of understanding the totality of your operation, dealing with subcontractors, scheduling shipments, and making changes on the fly when needed. It's not something to entrust to just anyone. We help clients get it right. Contact us for more information on your warehouse, distribution center, or manufacturing plant optimization project today.